The Old Hill Street Police Station (OHSPS), was erected in 1934 to house the Hill Street Police Station and Barracks. 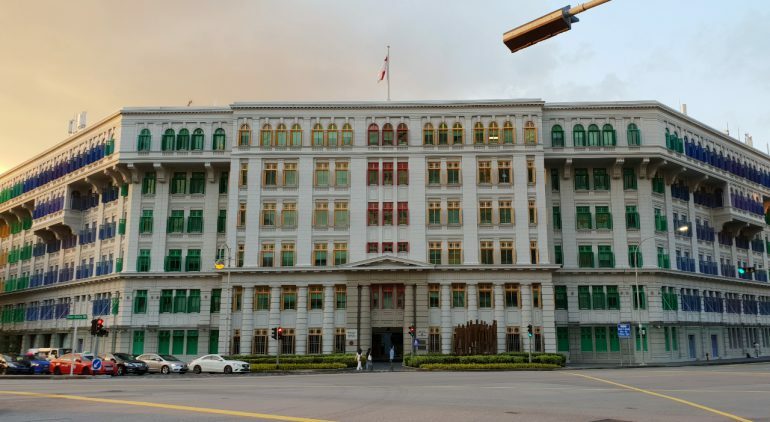 It was gazetted as a national monument in 1998 and transformed into comfortable and lively premises for the Ministry of Information, Communications and the Arts (MICA). MICA moved from PSA Building to the OHSPS which was renamed as the MICA Building in 2000. The building was later renamed as the Old Hill Street Police Station again in 2012, after MICA became the Ministry of Communication and Information. The OHSPS currently houses the Ministry of Culture, Community and Youth as well. OHPSP is located opposite Clark Quay. The building has a total of 927 windows and they are painted in the colours of the rainbow. Passersby will notice that the windows on the first four stories have the same vibrant intensity while the colours for the fifth- and sixth-story gradually intensify to accentuate the cantilevered balconies which are interesting architectural features of this historical building. Propre headquarters staff will share the daily life of a Singaporean. We hope that you can feel what life is like through the eyes of a local.